The development of next-generation tyrosine kinase inhibitors (TKIs) has led to deep and durable responses in patients with EGFR-mutant non–small cell lung cancer, but these agents have added to the complexity of acquired resistance mechanisms, said Stephen Liu, MD. Following the results of the phase III FLAURA trial, the FDA approved osimertinib (Tagrisso) for the frontline treatment of patients with NSCLC who harbor exon 19 deletions or exon 21 L858R substitution mutations in EGFR. The FLAURA data demonstrated a 54% reduction in the risk of progression or death with frontline osimertinib versus first-generation TKIs erlotinib (Tarceva) or gefitinib (Iressa). Median progression-free survival was 18.9 months (95% CI, 15.2-21.4) and 10.2 months (95% CI, 9.6-11.1) with osimertinib and standard therapy, respectively (HR, 0.46; 95% CI, 0.37-0.57; P <.0001). Osimertinib was initially approved by the FDA in November 2015 for the treatment of patients with advanced EGFR T790M-positive disease following progression on a prior EGFR TKI. However, the decision of whether to begin with a first-generation TKI and reserve osimertinib for the second-line setting or vice versa is unclear. 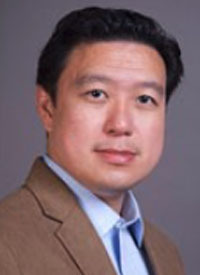 How resistance manifests is dependent on the sequence of therapy, and an increased understanding may enable physicians to predict the path of resistance from the beginning of a disease course, explained Liu, an associate professor of Medicine, Division of Hematology and Oncology, Georgetown University Medical Center. In ALK-rearranged NSCLC, Liu added, there are also resistance mechanisms and questions surrounding the optimal sequence following the frontline approval of alectinib (Alecensa) in November 2017. In an interview during the 2018 OncLive® State of the Science Summit™ on Advanced Non–Small Cell Lung Cancer, Liu provided an enhanced understanding of oncogenic drivers such as EGFR and ALK in patients with NSCLC, sequencing strategies, and the potential application of immunotherapy in later lines of therapy. OncLive: What are the updates in EGFR-mutant and ALK-rearranged disease beyond frontline treatment? Liu: We're familiar with EGFR and ALK as actionable subsets within NSCLC. We've become much more comfortable with using targeted therapies in those settings. This year, we saw the publication of 2 large randomized phase III trials that showed the newer-generation drugs are more effective than the older ones, which gives us preferred and more effective treatments. What we are struggling with now is resistance and what to do when those drugs stop working. In the EGFR setting, targeted agents have revolutionized care. These are responses that can be rapid, they can be deep, and they can be durable. This is a setting in lung cancer where we're not really hoping for response, we are expecting it. We're also expecting and anticipating resistance. Unfortunately, it remains something that we're going towards. When we look at treatment for EGFR-mutant lung cancer with first- and second-generation drugs, resistance was surprisingly straightforward. The majority of patients would develop a point mutation in exon 20 at T790M. Those patients would then move on to osimertinib, which retains its activity in that setting. Following osimertinib, it's become extremely complex. Some of the recent work has pointed out just how complex and heterogeneous resistance is. In a recent study looking at patients who had progressed on second-line osimertinib, we saw that those patients who all had T790M starting on osimertinib can lose T790M. About one-third of patients retained T790M at the time of progression, and about two-thirds lost it. In looking at those subsets, we can see that the biology is fundamentally distinct. Those who retain T790M seem to develop another acquired mutation. Approximately half of those patients will develop C797S. That acquired mutation prevents osimertinib from binding from the ATP cleft. [C797S] acts in a very similar way to T790M in the [face of the] first- and second-generation drugs.